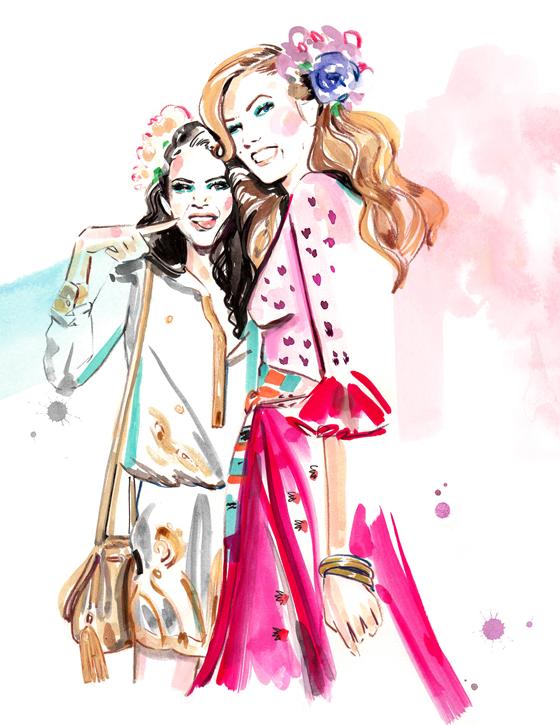 Travel Write Draw: VANITY FAIR: Front Row Fixtures Illustrations from NYFW!! 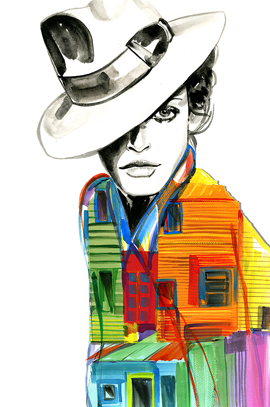 VANITY FAIR: Front Row Fixtures Illustrations from NYFW!! This NYFW I really wanted to do a unique editorial partnership that differed from last season's Lucky Magazine collaboration. I was absolutely OVER THE MOON when that partnership turned out to be with the one and only Vanity Fair!!!! From their massive Caitlyn Jenner cover this Summer, to their September issue with Taylor Swift, and now the spontaneous untouched photo shoot with Demi Lovato, Vanity Fair is absolutely trail blazing. You can imagine my excitement over having the opportunity to partner with a publication that I so deeply respect and admire. When they brainstormed the idea of having me illustrate quirky pairings front row and backstage at fashion week, I just about burst in two. Above is the sketch I did of Karlie Kloss and Kendall Jenner backstage at DVF which Karlie regrammed to her 3.2 million followers here!!!!!!!! Above is Selena Gomez and Brooklyn Beckham at Polo Ralph Lauren. Then I got to illustrate this incredible girl squad above sitting front row at Zac Posen, including Jennifer Hudson, Christina Hendricks, Bella Thorne, and AMY SCHUMER!! I don't think there could have been a better pairing than Debbie Harry and Nicki Minaj sitting front row at Givenchy SS16. Nicki gave so much sass it was fantastic to draw!! 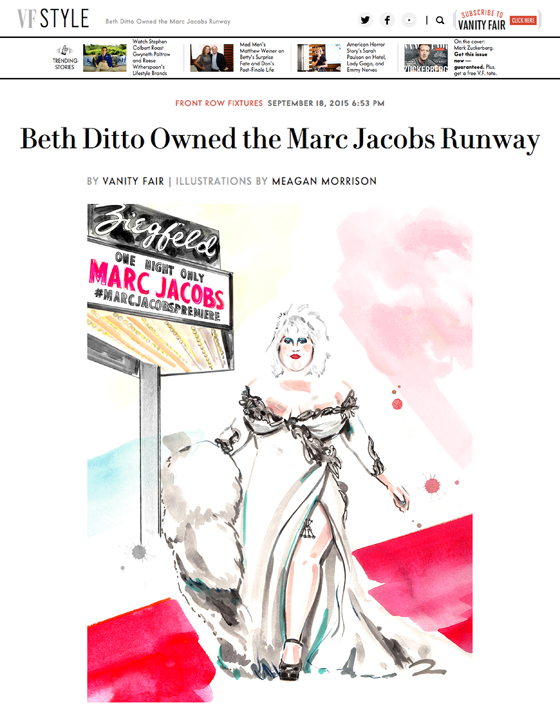 And last but certainly not least, I got to draw Beth Ditto owning the runway at the last show of the season, Marc Jacobs. To check out the full story on Vanity Fair head here Front Row Fixtures by Meagan Morrison and stay tuned for a few more posts from NYFW!! I saw the first illustration in Karlies instagram feed! 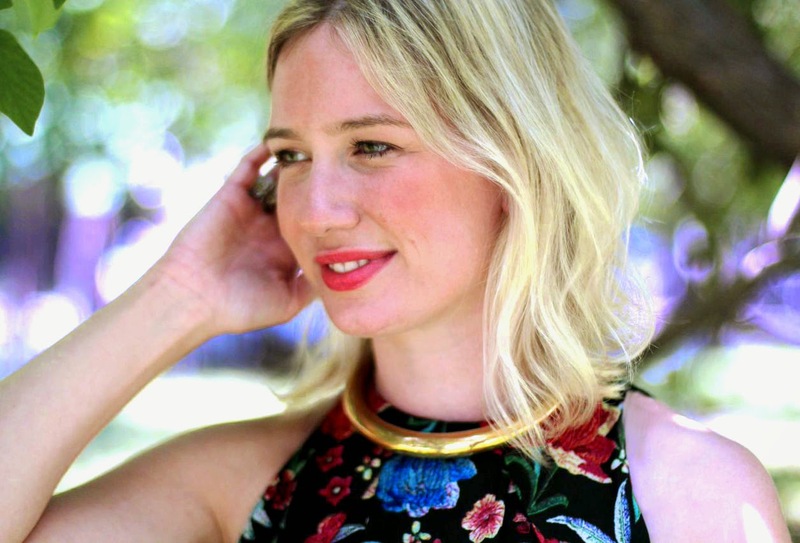 Ever since I head about this blog in the creative women podcast I've been obsessed with you.